Primary Staff - Skyview School, Inc. I love being a teacher because every day I wake up excited to go to work, knowing that at some point in my day, a child is going to teach me a new lesson. My students make me see the world through their eyes. 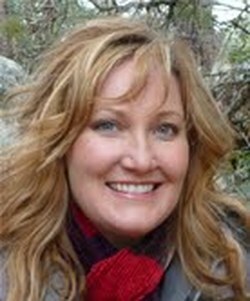 I have taught elementary education in the Prescott area since 1993, teaching grades 1st through 5th. I am a second generation Arizona native and attended junior high and high school in the beautiful city of Prescott. After graduation from Prescott High, I earned my BS in Elementary Education from NAU. Currently, I am a K8 Arizona certified teacher with a Structured English Immersion Endorsement. In 2004, I was honored to receive the Yavapai County K3 Teacher of the Year award. I met my husband, Brian, while attending PHS. Both our children, Jake and Emma, have been students of Skyview School since kindergarten! ​Anna has been teaching students in grades Pre-K to Post Secondary for the past 15 years and she is so excited to have joined Skyview School as part of the Primary team! Anna grew up in Prescott, AZ and graduated from Prescott High School in 1998. 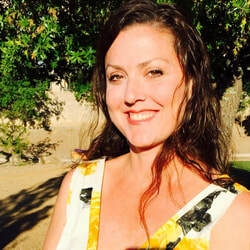 After attending and graduating from Northern Arizona University in 2002 with a Bachelor's degree in Art Education, Anna began her teaching career in Phoenix as a Visual Arts teacher for Elementary-age students. ​In 2007, Anna met her husband and moved back to Prescott to teach, and eventually start a family. In 2011, Anna completed and received her Masters’ degree in Elementary Education from Grand Canyon University. Anna is passionate about teaching, and believes that ‘Art is what helps children become more like themselves, and less like everybody else!’ Anna lives with her husband and her two children in Prescott Valley. During her ‘spare-time’ Anna can be found reading, knitting, bike riding, and walking her dog. Tasha has lived in Prescott since 1987. She attended Prescott Junior High and graduated in 1992 from PHS. She was a Pre-K teacher for 3 years and led a preschool aftercare program for two years. She has also taught children's art classes in the Prescott area for 5 years and volunteers at the Peregrin Book Company as a story teller. Tasha is currently attending Yavapai College in the Early Childhood Education program, with the goal of becoming a kindergarten or primary teacher. She loves to practice yoga, write poetry, and create art. She is a self-taught ukulele player and a nature lover, often being found hiking the trails of Prescott with her dog, Sadie. Tasha's 3 children, Ardara, Huyler, and Augie, have had the privilege of attending Skyview for 5 years. She is thrilled with the opportunity to get involved in a deeper capacity with this extraordinary program by working in the classroom with its talented teachers and children. Jenny Tomasovitch has lived in Prescott off and on for over 30 years. She attended school in Prescott (Miller Valley, Mile High Middle School, and Prescott High School) and earned her BA in Expressive Arts from Prescott College. She has many years of experience in various educational avenues, starting with running summer day camps and after-school art programs, volunteering in schools, teaching preschool for several years and working as an aide in a bilingual kindergarten. Jenny T. loves being able to live in Prescott with her husband Peter, a graduate of Embry Riddle Aeronautical University and their two children, Henry, (a graduate of Skyview) and Ruby, who is currently attending Skyview. Besides spending her days with the primary kids at Skyview, Jenny T. enjoys making her own art and jewelry, running art workshops, art camps and private art lessons for all ages. She loves drawing, painting, creating, hiking and running the trails with her family and friends and teaches a few fitness classes at the YMCA. 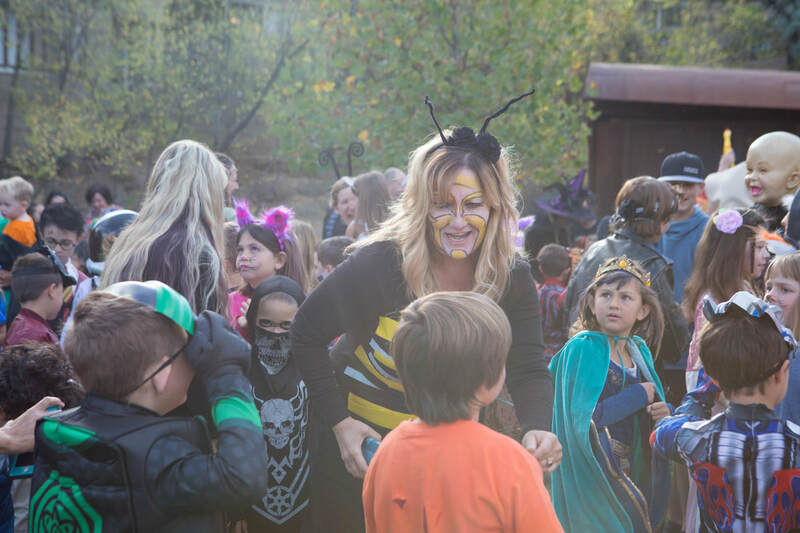 ​ Jenny feels so fortunate to be working with the primary team and feels incredibly lucky to spend every day in this loving, nurturing environment with the wonderful community of teachers, kids, and families that Skyview is made up of.